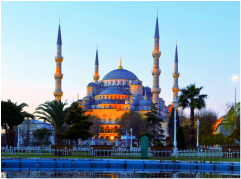 Turkey is a nation straddling eastern Europe and western Asia with cultural connections to ancient Greek, Persian, Roman, Byzantine and Ottoman empires. Cosmopolitan Istanbul, on the Bosphorus Strait, is home to the iconic Hagia Sophia, with its soaring dome and Christian mosaics, the massive 17th-century Blue Mosque and the circa-1460 Topkapı Palace, former home of sultans. We will retrace some of the journeys of Paul as we learn the biblical significance and the history of this amazing and diverse country. Arrive by noon. Before checking into our hotel, we will visit Hagia Sophia, the Hippodrome, the place chariot races and competitive athletic events took place during the Roman period and the underground Cistern - water source of the Byzantine and Ottoman periods, the largest of its kind in Istanbul, the structure's interior includes a few hundred marble columns. Enjoy a full-day of activities. 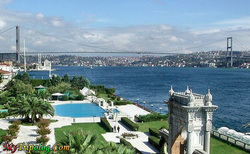 Visit Topkapi Palace, residence of Ottoman Sultans housing the richness of 700 years. Visit the Treasury section with the crown jewels. The Blue Mosque, a 17th century Ottoman Mosque famous for its six minarets and magnificent interior made of blue tiles. And take a cruise on the Bosporus by private boat. This morning we will drive to the city of Iznik (Nicea). The original wall built to defend the city, was almost 3 miles long, 33 feet high and included over 100 towers. Today, the wall is pierce in many locations to allow roads to pass through it, but much of the original work survived. We will have a lakeside lunch and then continue on to Canakkale. 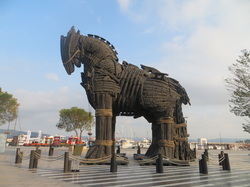 This morning, proceed to the classical city of Troy. Tour this 4000-year-old city and legendary center of the Trojan War, made immortal by Homer's epic poem The Iliad. Then, drive to Pergamum, a powerful kingdom during the ancient Hellenistic period, and visit the Asclepion, the ancient Roman spa center. Today we will visit the cities of Thyatira & Sardes which both contain one of the seven churches referred to in the book of Revelations. It is also believed that Paul visited and taught the residents of these cities. Walk along the 2000 year old marble and cobblestone streets in the city of Ephesus. Visit the Great Theatre, where St. Paul preached. Then continue on to the ancient city of Hierapolis ("Holy City"), situated atop the Pamukkale hot springs, which has served as a thermal bath since the 2nd century B.C. This morning we will drive to Antalya, founded by King Attalos of Pergamum as "Heaven on Earth," Antalya is an international resort city that has become a prime destination in Turkey. Popular for fantastic beaches, and world-class shopping. We will also visit the Antalya Archaeological Museum with its artifacts dating back over 2500 years. Today we will drive to Perge, founded in 13th century B.C. It is the most attractive and best preserved Pamphylian city. We will then continue to Aspendos, founded in 1000 B.C. by the colonists from Argos. It is well-known for its Roman theater with capacity for 30,000. It is still used for contemporary concerts, today. 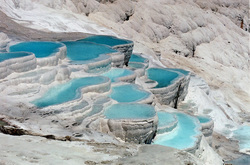 We will then transfer to the airport to catch our flight to Cappadocia. Visit the Open Air Museum in Goreme Valley to see the early Christian churches decorated with unique frescos depicting various scenes from the Bible. Later, visit the Ozkonak Underground City, an ancient city built on the northern slopes of Mt. Idis. The city has many strata made up of volcanic granite. Its larger areas are connected to each other by tunnels. This morning we will fly back to Istanbul. In the afternoon we will visit the Grand Bazaar, world famous shopping center where you can shop for carpets, jewelry, leather and more at your own leisure and walk the winding lanes of the lively Spice Market with its unforgettable aromas. Enjoy a farewell dinner. 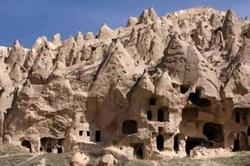 * This amount includes all the land tour items shown in the itinerary, the flight from Antalya to Cappadocia, the flight from Cappadocia to Istanbul and a travel insurance policy, which will cover both the land and air portion of the tour.